Today, I am sharing about one of our favorite lunch spots in Brownwood. We eat here and love to send out guest here also. 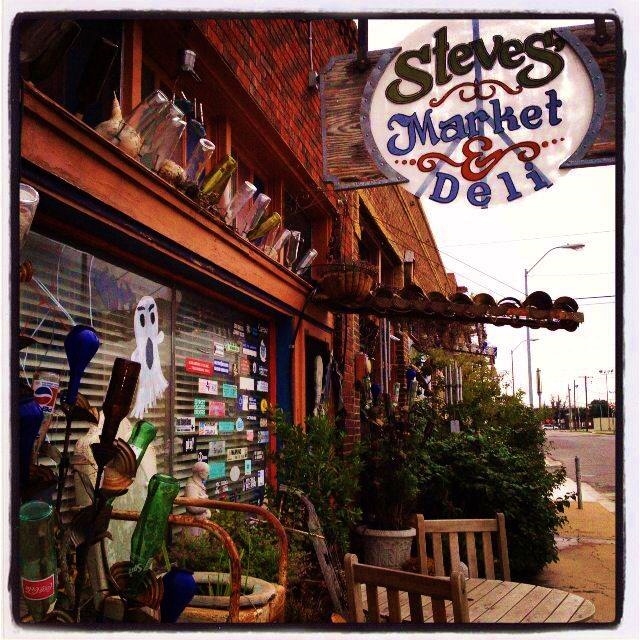 Tiny, fun, eclectic and over the top lunches are found at Steve’s Market & Deli. On Chandler, in Downtown Brownwood. Steve’s servers up some of the most tasty huge sandwiches,(be ready to take half of it home), with great sauces and sides. They are famous, or at least to me, for their awesome soups that are fresh made. If you love spicy, then try Katie’s Spiked Tomato Bisque. Another plate full are the nachos they serve up. each day they are open, and it is always a treat to see what it will be. They serve lunch on Tues – Sat at 11 to 3. Get there early or be ready to put you name on the waiting list and sit a spell till your turn. The restaurant is small and that is one of the unique things about it. You can’t go wrong by having a very filling and super tasty lunch at Steve’s Market & Deli. It is so worth the wait…. Until next time, when I share another favorite lunch spot. This entry was posted in Dining Out and tagged deli, downtown brownwood, lunch, places to eat by admin. Bookmark the permalink.